Be honest: would you say, by looking at the gorgeous nspa skincare products, that they carry a tiny price tag? I don’t think so. Nspa is a brand created by spa experts in the UK, exclusively for Asda. Yes, you heard right. Asda. In fact, Asda beauty has a great range of products, including nspa, whose products are benchmarked against big brands in the market. I tried some of their Beauty Rituals Ever Youthful anti-ageing products, which are all enriched with a hyaluronic acid and tetrapeptide complex. The whole Beauty Rituals line carries four steps of skincare: cleanse, exfoliate, treat and moisturise. All products are dermatologically approved and free of parabens. As I love a serum, I’m going to start with that. The Ever Youthful Double Action Serum, which costs £6.40 (no, you didn’t read it wrong), contains ginseng and and anti-oxidant rich Vitamin A, E and Pro-Vitamin B5 complex. The serum is light and sinks in the skin very well. 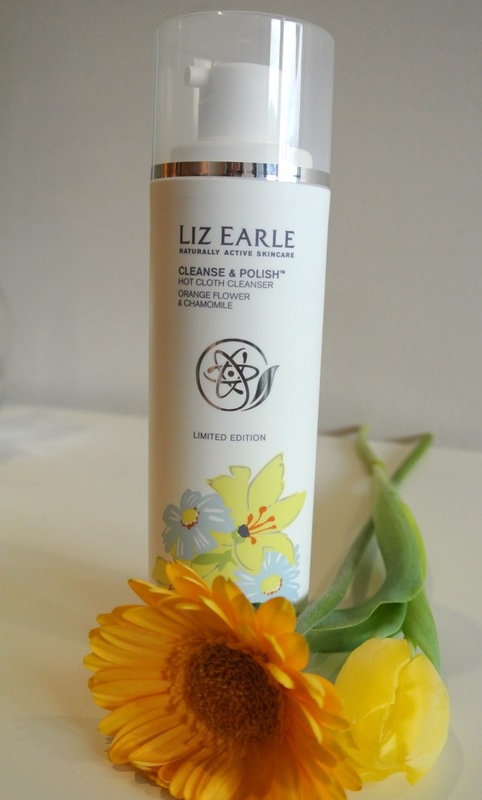 Skin feels soft , nourished and moisturised after use. It is also vegan friendly. Eye creams are also a little vice of mine and the Ever Youthful Eye Cream (£5) is very good. Light upon application and quickly absorbed, it does not irritate my sensitive eyes. Can be used overnight and also during the day under makeup; it behaves very well. It helps support the delicate round the eye skin, plumping and nourishing, working against crows feet and fine lines. They also have a day and night cream: the recharging and restorative Ever Youthful Bouncy Night Cream (£6.40), which is admittedly is a bit rich my my skin type, but has real bouncy texture and does feel nice on the skin once applied. The Ever Youthful Day Cream, £6.40, (obvs!) with protecting SPF 15 and is possibly thicker than I would like, close to the night one, but absorbs well and feels lovely on the skin. The smell is very nice too – in fact, all products have a lovely smell. Not pictured, because it lives in my bathroom, is probably my favourite product from the range, the Deep Cleansing Face Wash (£4.50). Its pump delivers a rich foam that cleanses without stripping the skin and does a very good job of even removing eye makeup. The nspa Ever Youthful range is really goo, especially when you think about the price point – the most expensive products cost £6.40 and at the moment they have a 2 for £8 deal on. Plus, you can get it while grocery shopping at Asda, in-store and online. Every time I hear the word glycolic, I feel a little tingle – not on my skin, but because I love glycolic acid products. When I found out a while ago that B. Makeup was launching the B. 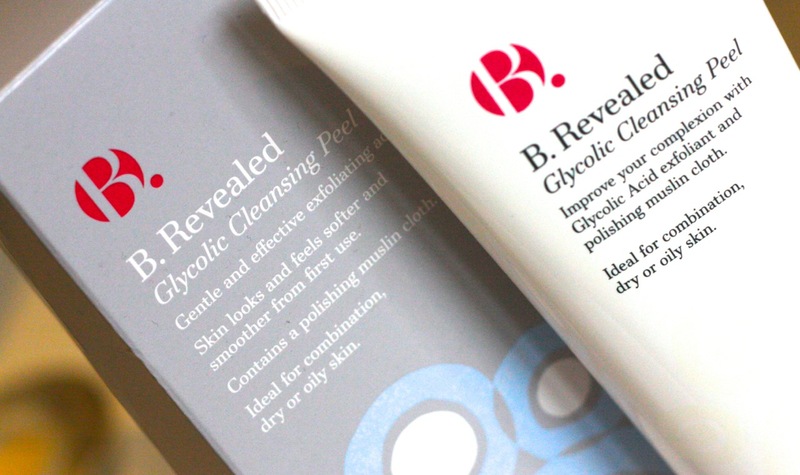 Revealed Glycolic Peel Cleanser, I just could not wait to get my hands on it! 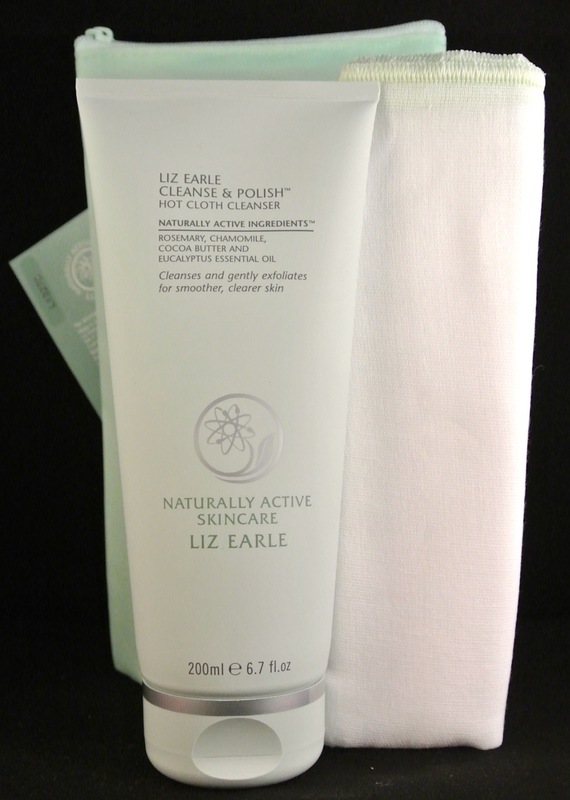 Nothing beats a good cleanser. Really. That feeling of having a deeply clean and not dry skin is just wonderful. It seems to strip away the daily stresses. And that’s how the Liz Earle Cleanse & Polish hot cloth cleanser make me feel.